My friends in the Sondheim Scholars program represent the many individuals who have helped me grow, both intellectually and personally. They embody the best that this community has given me and taught me over the course of these past four years. During his time at UMBC, Ashby Henningsen has developed lasting friendships with fellow Sondheim Public Affairs Scholars thanks to a shared commitment to personal growth and public service. For Henningsen, UMBC’s Class of 2016 salutatorian, that commitment focuses on human rights issues. Henningsen has volunteered with the Refugee Youth Project and The Choice Program at UMBC’s Shriver Center. He has also interned for two nonprofit organizations in Baltimore, Advocates for Survivors of Torture and Trauma and the Next One Up Foundation, and served as assistant news editor for The Retriever Weekly. In 2015, Henningsen participated in the Public Policy and International Affairs Junior Summer Institute at Princeton University, a seven-week program structured to introduce and strengthen skills in economics, statistics, policy analysis, writing, and public speaking. Through experiences inside and outside the classroom, he’s also further developed the critical analysis, professional writing, and speaking skills he’ll need to pursue a career in international affairs and public administration. Henningsen graduates with a 4.0 GPA and Outstanding Scholar accolades from both political science and global studies. He will complete an internship with the International Justice Mission in Washington, D.C. in summer 2016, during the review period for his application to the Peace Corps. 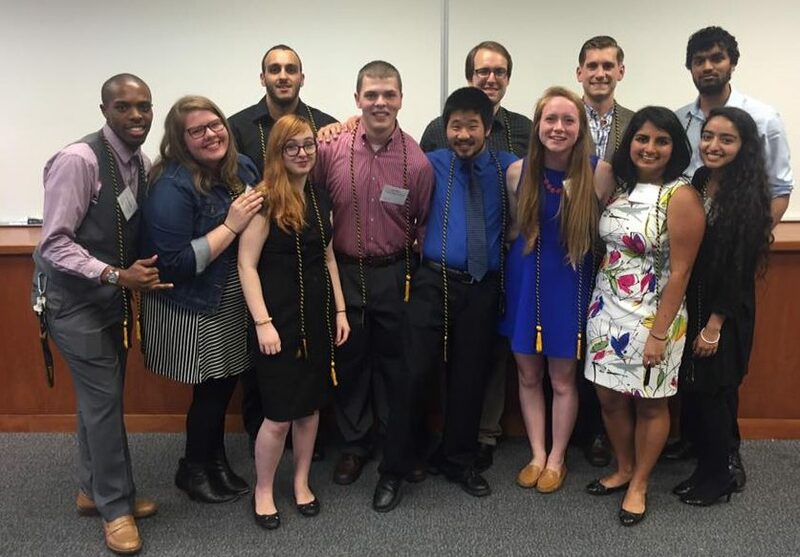 Images: Ashby Henningsen poses with other UMBC Sondheim Public Affairs Scholar; photo courtesy of Ashby Henningsen. Portrait by Marlayna Demond ‘11 for UMBC.